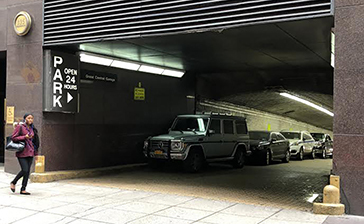 Parking.com has convenient parking near the New York Public Library's Main Branch Building. Click on the map below for more information on parking rates, hours of operation, and entrance locations. The Stephen A. Schwarzman Building of the New York Public Library, more commonly known as the Main Branch and the New York Public Library is located on a two-block section of Fifth Avenue between 40th and 42nd streets. The branch, opened in 1911, is one of four research libraries in the library system and features special rooms named for notable authors and scholars. 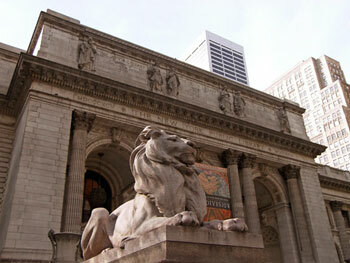 The library was declared a National Historic Landmark and is adjacent to Bryant Park. Popular nearby attractions include: Times Square, the Theatre District, Rockefeller Center, and Grand Central Terminal.